Stock removal and surface finish. Lubricity to prevent drying out. 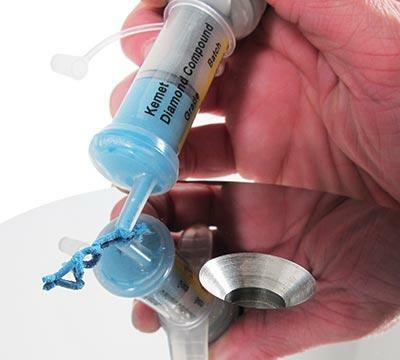 Diamond paste and diamond compound are supplied in various types of packaging sizes including 5g, 10g, 20g, 50g, 100g and 1kg containers, as well as the unique applikator ensures that accurate amounts of diamond compound are correctly dispensed with no leakage from the syringe. 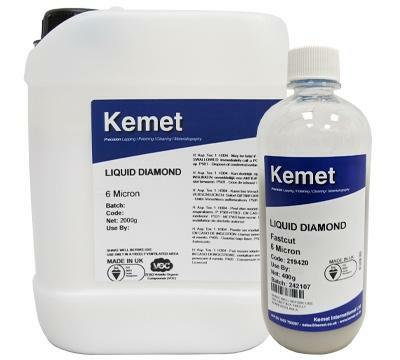 Our range of Kemet liquid diamond / diamond slurry products are available as oil soluble, water soluble or as emulsions. 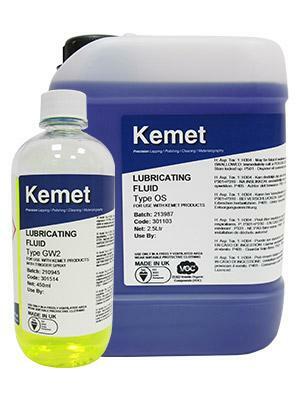 The chemical of the carrier fluid is carefully controlled to ensure that they are compatible both with the Lapping Plate and the components being lapped. 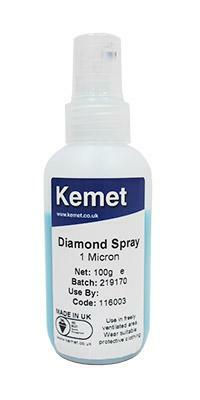 Our diamond spray is Water soluble manufactured with monocrystalline diamond powder, supplied in 100g Pump-up Spray Dispenser. 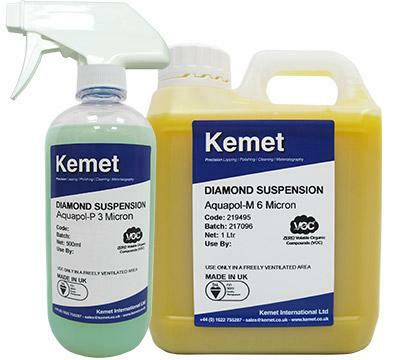 Our diamond suspension is low viscosity, colour coded, high concentration, water (W) or oil (O) soluble suspensions available in two types: WM or OM Standard grade, containing monocrystalline diamond powder and WP or OP Premier grade containing polycrystalline diamond powder.